Inky Fairy Designs: Ippity Hop Monday!! Last week, I was so inspired by all the awesome handmade ornaments by the DT that I finally got to make some of my own this weekend. This is one that I made using the set Season of Joy. I think it turned out cute but not exactly how I envisioned and I couldn't get a good picture of it either! Thanks for stopping by! Love how your ornament came out!! It's fabulous! Your ornament is wonderful! Love it! Carisa, this is sooooo gorgeous...love all the layering on it! Such an adorable ornament! Great job! It really did come out cute! I don't know what you were envisioning, but I sure like it! Beautiful.. 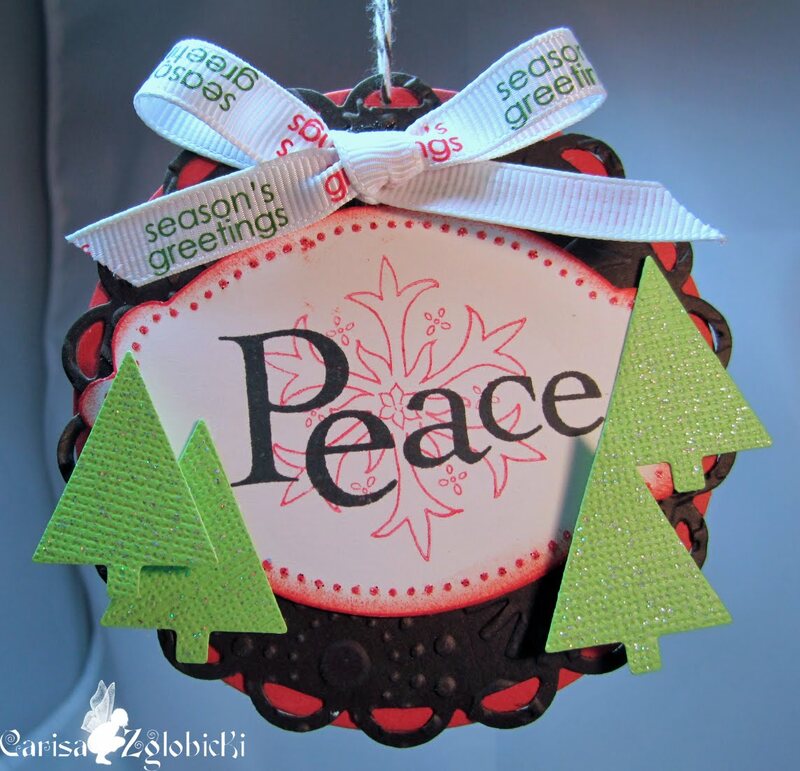 I love your your ornament Carisa.. just stunning.